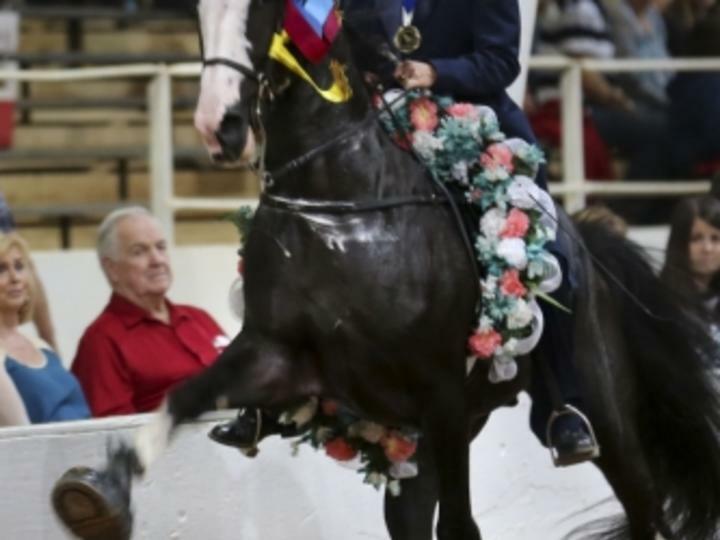 Decatur, Ala. – A new World Grand Champion will be named in Decatur, Ala. when the largest Racking Horse Show in the United States returns to the Celebration Arena September 22-30, 2017. The World Celebration offers over 180 classes for children, adults, amateurs, and professionals, and the public is invited to come witness some of the top equestrians and experience the excitement of crowning a new grand champion. The World Celebration attracts hundreds of competitors and their family members from all across the United States who are vying for the coveted honor of World Grand champion. Over 180 classes are offered to equestrians of all ages. Billed as a family fun event, the World Celebration offers a variety of activities in addition to the horse competition. Activities include a horse sale, a barn decorating contest, nightly consignment sales, and a golf tournament. The general public is invited to participate in the Pleasure Association’s 50/50 raffle. On Saturday night prior to announcing the World Grand Champion, children are invited to participate in the “Stick Horse” class. This event allows children to bring their own stick horse for friendly competition in the arena. The nine-day competition culminates with the announcement of the new World Grand Champion. Shows are held nightly at 6 p.m. Admission is $5 per person September 22 through 27 and $7 per person for the remaining nights of the competition. Parking is $5 per day. The Morgan County Celebration Arena is located at 67 Horse Center Road (off Highway 67 East) in Decatur. For more information including a schedule of events, visit www.rackinghorse.com or call 256.353.7225. AMLA is a nonprofit organization dedicated to the promotion and development of the travel industry within the 16 northernmost counties of the state. It is supported by 500-plus members consisting of chambers of commerce, Convention & Visitors Bureaus, attractions, campgrounds, festivals, communities, counties, golf courses, restaurants, tour operators, accommodations, vendors, financial institutions and individuals. Counties included within the AMLA region are Blount, Cherokee, Colbert, Cullman, DeKalb, Etowah, Franklin, Jackson, Lauderdale, Lawrence, Limestone, Madison, Marion, Marshall, Morgan and Winston. Additional information on North Alabama destinations, accommodations and special events is available from AMLA by calling 800.648.5381 or by visiting their web site at www.NorthAlabama.org.